The so-called West Indo-European tribes arrived at the eastern edge of central Europe around 2500 BC. Their northern group became the proto-Celts of the Urnfield culture while the southern group seemingly migrated westwards and southwards, reaching Illyria and northern Italy. Already divided further into semi-isolated tribes, they became more civilised in habits and technologies due to contact with southern Greeks and Etruscans. In the eleventh to eighth centuries BC, some of those groups in Illyria crossed by sea into the Italian peninsula and settled along the south-eastern coast. Those in the north Italian piedmont gradually migrated southwards to occupy much of the rest of eastern and central Italy. These tribes all formed part of a general group called Italics. 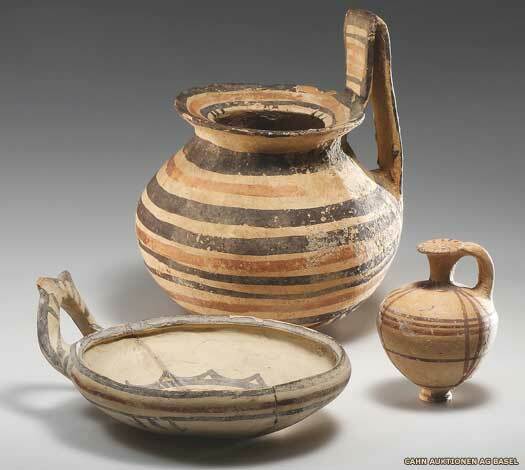 The Iapyges (or Iapygians) were a group of Italics who, during the Iron Age, were located in the south-east. They were neighboured to the north by the Dauni, to the east by the Peucetii and Messapii, to the south by the Oenotri and the Greek colonists of Metapontum, and to the west by the Lucani and by the Hirpini, Caudini, and Pentri clans of the Samnites. Unlike the other Italic tribes in the rest of the peninsula, the Iapyges were probably of Illyrian origin, and possibly early Greeks. They are thought to have migrated into south-eastern Italy from the Balkans coast, probably crossing the Adriatic Sea at its narrowest point, from modern Albania. This migration appears to have taken place between the eleventh and tenth centuries BC, with the Iapyges settling the western strip of Apulia, in a line to the north of Metapontum. Once there, and probably by the ninth century, they divided, forming the Dauni, Messapii, and Peucetii tribes on their eastern flank. According to Dionysus of Halicarnassus, the Iapyges were settlers from Arcadia, while Herodotus gave them a Minoan origin, claiming them to be émigrés following the death of King Minos. The land of the Iapyges became, to Classical authors, Iapudia, and then Apulia and Puglia. If the pronunciation of Iapyges rendered the 'd' as a 'dg' (as in 'budge') then there may not have been much difference at all between Iapyges (Iapy-dg-es) and Iapudia (Iapu-dg-ia). 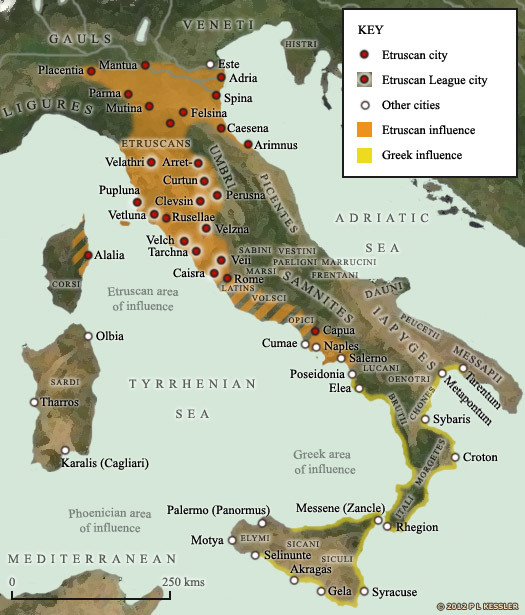 The Illyrian tribes in south-eastern Italy spoke a language belonging to the Messapian group. This was an Indo-European branch that was found in Italy alone, but which may have been related to one of the Illyrian languages. It was spoken only by the Iapyges and their three sub-groups. Approximately three hundred inscriptions survive which can be dated to the period between the sixth and first centuries BC, after which the Illyrian tribes were submerged by Latin culture and language. There are two 'other' groups in the same region who are referred to as the Yapigi and the Yapodi. Like the Iapyges they were Messapic-speakers, but as the Illyrian languages are much harder to break down than other Indo-European language groups, it is almost impossible to say whether they derived their name from the same root meaning as the Iapyges, or even whether they were originally one single group. What is known is that the Illyrians had strong affinities with the early Greeks (indeed their Indo-European ancestors may even have begun their south-westwards migration side-by-side). This raises the possibility that the Iapyges were named after a deity called Iapyx. This is a Greek deity, and one who has two apparent versions or stories linked to it. The wind god version may be the correct one. Two possible options suggest themselves for these naming variations. The first is that the Iapyges tribe splintered early after its arrival in Italy - either due to the interference of the Greeks (and possibly their influence on naming) or not. The newly-formed splinter group adopted a name based on the beginning of the original name - Iapyges - but had a different ending so that they were now the Yapodi (this is a process that is often seen with tribal groups, with the newly splintered faction adopting a name that was a variant of the original tribe's name. With the Celts, the Bituriges and their splinter group, the Biturices, offer one such example). Of course, the second option is even more simple (and likely) - that the tribe never splintered at all. There were no standard spellings for ancient authors, and Yapigi certainly looks like a direct variant of Iapyges, with Yapodi looking likely too. They were a single tribe who were simply recorded in different ways. Eponymous legendary founder of the tribe. According to Greek legend, Iapyx, Daunius, and Peucetius are three sons of an Illyrian (Arcadian) king named Lycaon, who is himself the son of Pelasgos, ancestor of the Pelasgoi. They lead their people across the Adriatic Sea and into south-eastern Italy, where they settle, mixing in with the native pre-Italic population. The tribe fragments into at least four segments: the Iapyges, Dauni, Messapii, and Peucetii (and perhaps also the Oenotri). Subsequently, towns in the southern parts of the region are founded by the Greek colonists of Magna Graecia. The settlement of Gnapia, first founded in the fifteenth century BC during the Bronze Age, is invaded and settled by the Iapyges, as they occupy large tracts of territory in south-eastern Italy. The Messapii appear to emerge with an identity of their own out of the Iapyges collective. Their southern town of Gnapia, as well as the entire region of Salento in the Italian 'heel', flourishes between now and the third century. It seems likely that the Dauni and Messapii also emerge with their own identity at this time. The Spartan Greeks of Tarentum (modern Taranto), located on the 'arch' of Italy's 'boot', defeat the Iapyges, Messapii, and Peucetii. This appears the be the first stage of a war that continues until 467 BC, but the Iapyges are not mentioned again in connection with it. The conclusion of the Second Peloponnesian War between Athens and Sparta, and the defeat of the former city, sees many Athenian artisans emigrate to the colonies of Magna Graecia. They build new workshops and contribute to a flourishing of output, something which also influences the Iapyges and other tribes of the Apulia region. Rome fights the Second Samnite War against the Samnites in 325 BC. During this period the Marsi ally themselves to the Romans, while the Dauni, Iapyges, Lucani, Messapii, and Peucetii side with the Samnites. When the Samnites are defeated, so are their allies, and all of them are subjugated by Rome. Roman authors know the Iapyges principally as the Apulians, Calabri, Salentini, or Sallentini. The Second Punic War is fought against Carthage. Rome is aided by its Etruscan, Picene, and Umbrian forces, but Italy is invaded by Hannibal Barca and a Roman army is massacred at the Battle of Cannae (in the heart of Peucetii territory), killing 60,000. The final stages of the war in Italy are fought out at Monte Gargano, in the northernmost part of the modern region of Apulia and the heart of Dauni territory. When the Carthaginians withdraw, Rome is able to capture the ports of Brundisium (Brindisi, on the eastern coast) and Tarentum (Taranto), both of which border Messapii territory). This establishes full Roman dominion over the south-east of Italy. Along with the Etruscans, Lucani, Marrucini, Marsi, Paeligni, Picentes, Samnites, and Vestini, the Iapyges fight the Social War (Italian War, or Marsic War) against Rome. The war is the result of increasing inequality in Roman land ownership, and the spark for conflict is delivered by the assassination of the reforming Marcus Livius Drusus, whose efforts would have led to citizenship for all of Rome's allies. Although defeated, the Italic tribes are granted the Roman citizenship which had previously been withheld from them. Possibly commanded the Iapyges during the Social War. During the imperial age, the regions of Apulia and Calabria become production houses of grain and oil, and form the main export route for the eastern provinces.